Preparing to set off for your first long hike is exciting. Whether you are about to embark on a multi-day trek or just a short day hike, there is a lot to consider before you set off. 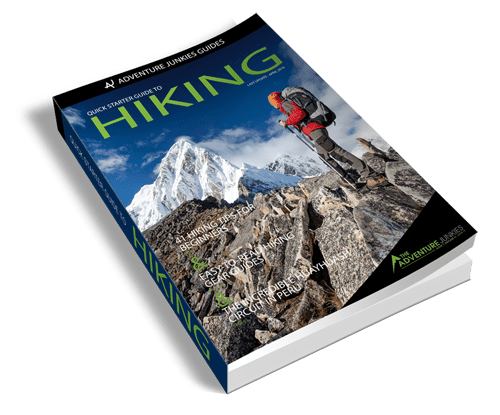 When looking for beginners advice on hiking, you may feel overwhelmed by all the information available on the web. 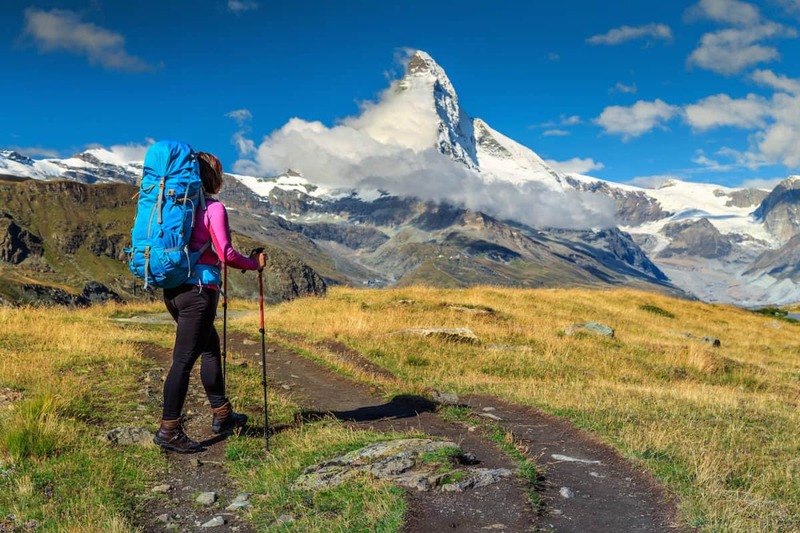 To help out first-time hikers we’ve compiled a list of hiking tips for beginners inspired from questions asked by our readers, advice given to us by other hikers, and our own experience. Some tips might seem like common sense but it’s easier to see that from the comfort of your home. 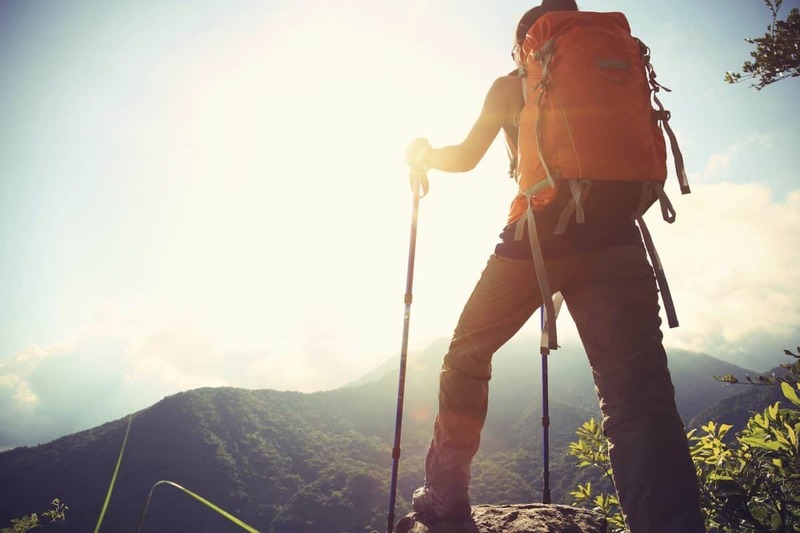 These are just some ideas to get you thinking about how to prepare for your hiking adventure. Like with anything you set out to do, you learn best by trial and error. However some pointers along the way can help you make the most out of your experience outdoors. 1. DO SOME RESEARCH to find a trail suitable for beginners. 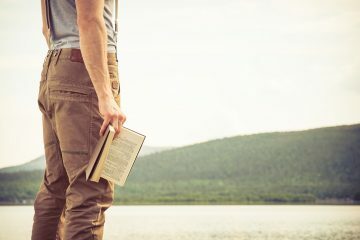 For ideas, check out magazines like Backpacker and Outside. Websites and forums are also great places to start. If you want to hike in the US, Canada, Mexico or the Caribbean, take a look at Trails.com trail finder. 2. MAKE CHECKLISTS. One for food and another for equipment. Not sure what to pack? 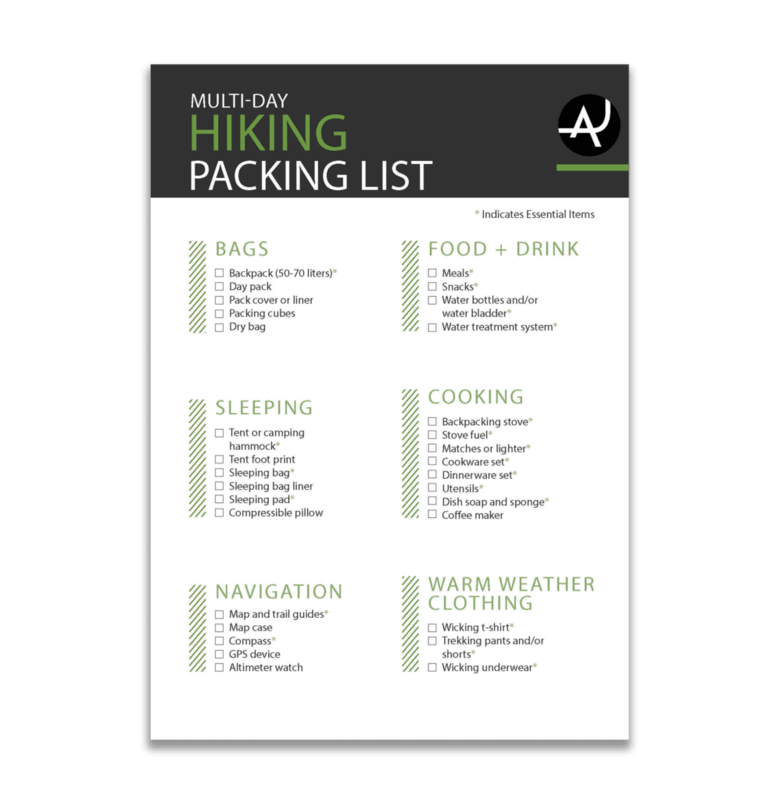 Check out our multi-day hiking packing list. 3. JOIN A HIKING GROUP. It’s a fun way to meet people with similar interests. 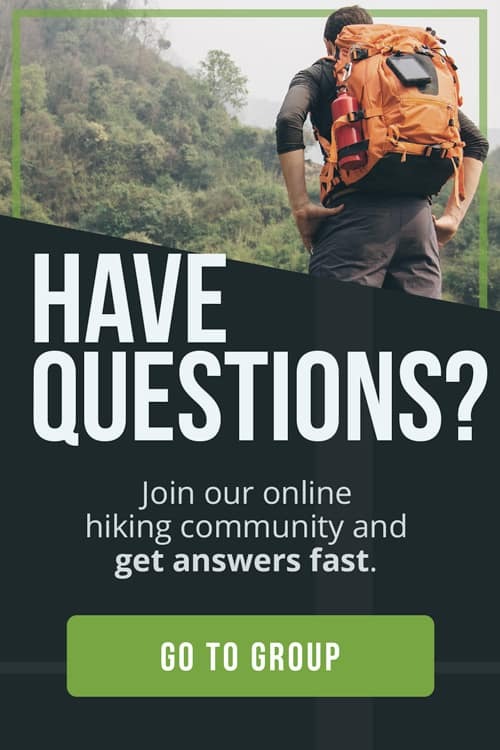 Check out local hiking clubs, online forums or sites like MeetUp.com to find hiking buddies. Some of the treks we organize have a trekkers wanted section like the Choquequirao Hike in Peru. 4. TAG ALONG WITH AN EXPERIENCED FRIEND. The best way to learn new skills is first hand with a knowledgable person by your side. 5. DRINK WATER OFTEN, even before you feel thirsty. Dehydration can make you more susceptible to hypothermia and altitude sickness. 6. BRING A MAP AND COMPASS and learn how to use them. A good hiking GPS is very useful and makes your life easier, but it can fail or run out of battery. 7. SUN PROTECTION is important, even more so if you are trekking at altitude. Always pack a hat, sunglasses and sunblock. 8. 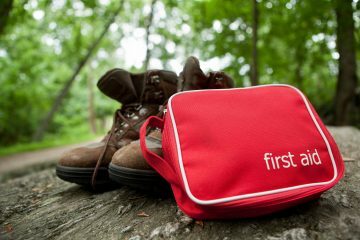 LEARN BASIC FIRST AID and carry a kit with you. 9. If your socks get wet, change them the first chance you get. This will prevent blisters from forming. 10. TAKE A 10 MINUTE BREAK AT LEAST EVERY HOUR. This quick break helps remove the metabolic waste that build up in your legs while hiking. 11. STUDY YOUR MAP before you begin the hike. This gives you a good idea of your route, possible emergency exit points as well as places to fill up on water. 12. Carry an EMERGENCY STASH OF FOOD. This is for in case you have to stay on the trail longer than you expected. 13. LET SOMEONE KNOW WHERE YOU ARE GOING and when you plan to be back. Have you seen 127 hours? 14. WATERPROOF YOUR PACK either with a pack cover or pack liner. 15. DRESS IN LAYERS to stay warm, dry and comfortable. Learn how to do it with our layering guide for the outdoors. 16. PRACTICE USING YOUR GEAR AT HOME. Set up your tent in the yard and light up your stove. It’s much less stressful than setting up at camp. 17. If you plan on doing side trips from your campsite, BRING A LIGHTWEIGHT DAY PACK to carry your water, camera and sunblock along with you. 18. PACK FOR EASY ACCESS. Put essential items like a map, first aid kit, flash light, and snacks in the outside pouches or in upper compartments of your pack to get to them easily during breaks or in case of an emergency. 19. Keep your STOVE FUEL AWAY FROM YOUR FOOD. If possible carry it on the outside of your pack. 20. As a general rule for clothing, NEVER WEAR COTTON in the wilderness. 21. Bring SOMETHING TO PURIFY WATER like tablets, pump purifier or a SteriPEN. 22. Use packing cubes to ORGANIZE YOUR GEAR. This saves you a lot of time having to repack everyday and makes things easier to find. For a long hike, I bring two large ones. One for bottoms and one for tops. Underwear and accessories go in which ever has more space. 23. If you have bad knees, GIVE WALKING POLES A TRY. If you don’t know what to choose, check out our comparison of the best hiking poles in the market. 24. Ladies, two words: moon cup. 25. BORROW OR RENT GEAR BEFORE YOU PURCHASE. Especially big ticket items like tents. Or give hammock camping a try! 26. PRACTICE PACKING YOUR PACK at home. It takes a few times of packing and unpacking to determine the best way to do it. 27. PACK A GOOD QUALITY RAIN JACKET, no matter what the weather forecast says. This is one of the most important items of clothing you can bring. Look for one that is both waterproof and breathable. To learn more, check out our guide on how to choose a rain jacket for the outdoors. 28. For first time backpackers, TRY TO MAKE YOUR TRIP SHORT. This gives you a chance to test yourself without being too far from civilization if things turn bad. 29. REMOVE THE EXCESS PACKAGING FROM FOOD to save space. 30. DON’T HUFF AND PUFF. Walking at a pace that allows you to be able to walk and talk means that your legs and your body are getting the oxygen needed to function efficiently. 31. For really hot days put your water bottle in an old sock, soak the sock, and hang the bottle on the outside of your pack. This will KEEP YOUR WATER FROM GETTING TOO HOT. 32. To STAY EXTRA DRY IN THE RAIN fold a small towel or synthetic chamois into a long, thin strip. Wrap it around your neck before pulling over your hood. Any rain that may drip inside your jacket will be trapped in the towel instead of getting your clothes wet. 33. If your pack begins to squeak RUB A BIT OF LIP BALM ON THE TROUBLED PIN or grommet. 34. TAKE YOUR CAMERA along and take some awesome hiking photos. 35. To WEAR YOUR PACK CORRECTLY, loosen all straps first before putting it on. First tighten the hip belt, which should sit on your hips, not above them. Then tighten the shoulder straps. Next, the load lifters (ones near your shoulders). Finally adjust the load stabilizer straps on the hip belt (at the back of the belt). Your sternum strap shouldn’t be super tight but simply help keep the shoulder straps in position. For more details, check our guide on how to fit a backpack properly. 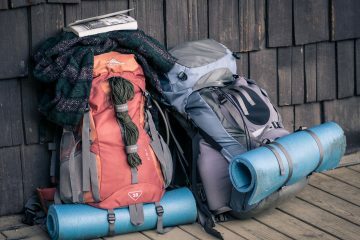 If you are planning to get a new backpack, check out the best models for backpacking. 36. GIVE UPHILL HIKERS THE RIGHT OF WAY. 37. DON’T TAKE SOUVENIRS. Nature is meant to be enjoyed by all, don’t take home anything that you didn’t bring with you. 38. Leave no trace, PACK IT IN, PACK IT OUT! Bring a plastic bag to carry all of your rubbish with you, tie it your pack to keep from getting the inside of your pack dirty. 39. RESPECT OTHERS by talking quietly and not playing loud music. People go to the outdoors to get away from the noise of the city. 40. To PREVENT HARMING NATURE, stay on the trail. 41. NEVER FEED WILDLIFE with food intended for humans as this disrupts their natural foraging habits.